NDC’s EVIL AGENDA EXPOSED AS CHAIRMAN SAMBA DEFIES THE ODDS WITH HIS DONATIONS TOWARDS YAA-NAA ANDANI’S FUNERAL RITES – NPP USA Inc. The Regional Chairman of the ruling New Patriotic Party, Baatima Samba has made a donation towards the final funeral rites of the late Yaa-Naa Yakubu Andani in Yendi. 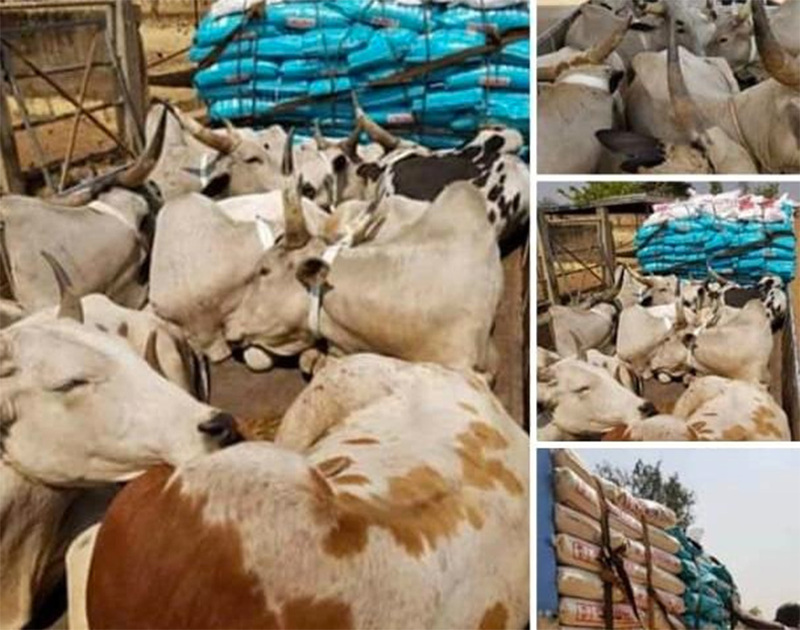 The donation comprised cattle, bags of rice and other assorted items. Delivering a speech during the event, Chairman Samba reiterated the need for all Dagombas to live in peace and harmony. He charged both gates not to allow politics to divide them since they were living in harmony until the advent of partisan politics which some have used as a springboard for their self-serving agenda, thus dividing the people. Chairman Samba had earlier on made a similar donation to the Abudus when the late Yaa-Naa Mahamudu Abdulai’s funeral rite was being performed. This gesture from the ruling party’s Regional Chairman is worlds apart from what the leadership of the opposition National Democratic Congress did. The NDC, led by their regional executives, has made a donation towards the final funeral rite of Yaa-Naa Yakubu Andani but failed to do same when Yaa-Naa Mahamudu Abdulai’s final funeral rite was being observed. It stands to reason that the opposition National Democratic Congress is hell-bent on perpetuating these divisive tendencies just for political gains. It also signifies a grand scheme on the part of the NDC to continue to ensure that peace of any form eludes Dagombas as that is the only sure bet to enhance their popularity in the zone. Chairman Samba deserves more than a pat at the back with his magnanimous gesture which is aimed at fostering peaceful coexistence in Dagbon.